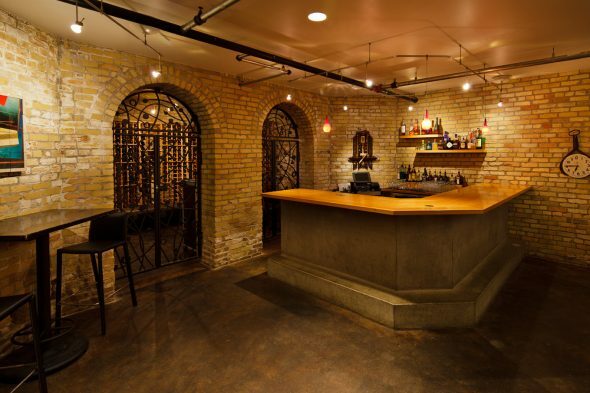 If you’re tired of trying to create special experiences in stark, vast, “traditional hotel” spaces, Stoker’s in the Basement is your perfect solution. Simultaneously cozy and urban, Stoker’s offers a memorable place for events like groom’s dinners, baby showers, retirement celebrations or business meetings. Any event for up to 65 guests will be enhanced by Stoker’s unique combination of modern art, old-world feel, and flexible, open design. Your guests can mix and mingle at the bar, at a corner table, or in the open gallery. As with any of our spaces, we can help you arrange for the perfect decorations, food, and floor plan.